The days of digging through my drawers for spices are over. I have found the light. One day I just got fed up with the stale spices hidden in about seven possible locations in my kitchen and I sat down and did some research. 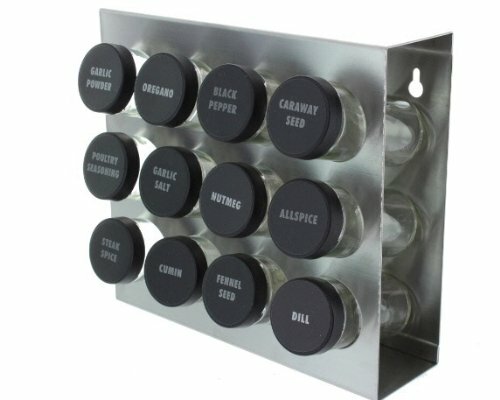 What I found was a beautiful stainless spice rack and I ordered three. I hung them along one side of a built in cabinet. Next I took every single pack, tin, bottle and box of spice out of their hiding places and did some freshness testing. Once I'd figured out what I needed more of I went to the local spice store and got small 1 oz portions so I could keep my spices fresh. Then I had my son use a white sharpie paint pen on the lids so I could easily find them in this new horizontal position. Not only is it fantastically organized it makes us smile every time we walk past it. Star Anise you are a star!